Travelling to Vis is quite straightforward and incredibly beautiful! 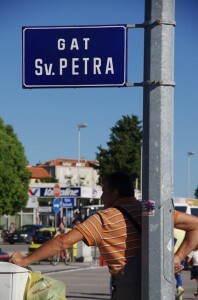 Take a flight to Split and from there a shuttle to the ferry port. 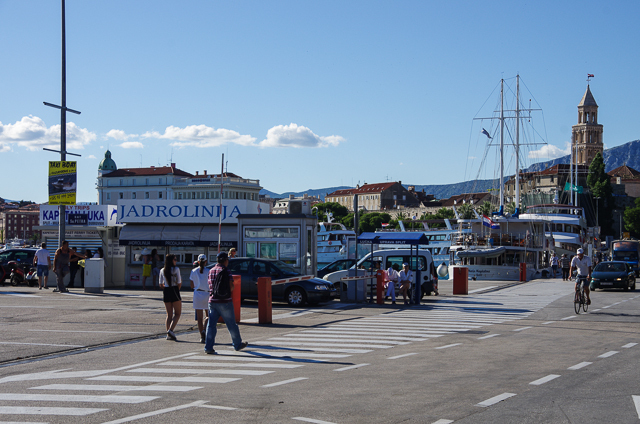 Depending on the time of your arrival you may store your luggage and get a coffee at the riverwalk or stroll through Split’s historic city and its picturesque market. The Diocletian’s Palace, in which the historic city literally sits, is just a few minutes away from the bus station and ferry port. On your way there you can purchase a ferry ticket right at the landing pier. Don’t be afraid of sea sickness as the ferries are quite big and glide very smoothly across the sea. Please make sure you check the ferry connection before you book your flights! You find the links below. A ride to Vis will take approx. 2 hrs and 15 minutes. 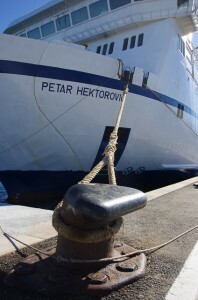 Unless you arrived by car you can also choose the Catamaran and be in Vis in no more than 1,5 hours. 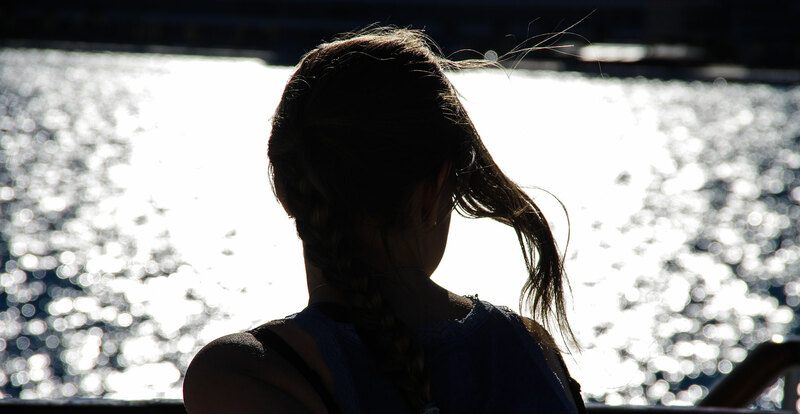 Still, we recommend the ferry, because this way you get the most out of it, enjoying the surroundings of the islands and a drink or asnack. 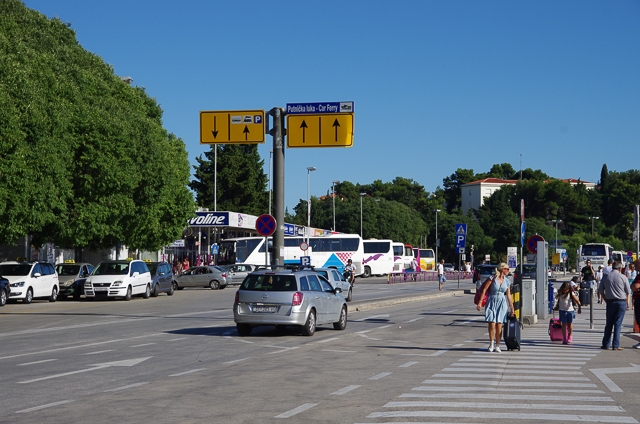 Bus connection Split Airport to Split harbour: a public bus departs every 20 minutes from the airport to Split centre and costs ~30 Kuna (EUR 4,50), taking ~30 minutes to the ferry port. There is a parking lot behind the main bus station (next to the City harbour). The price is 120kn (ca 18€) per day. 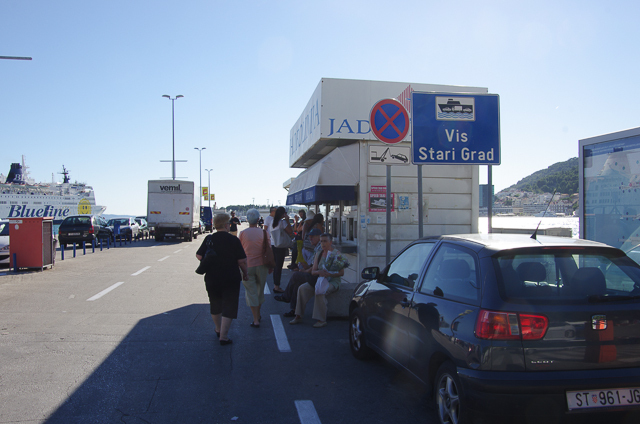 It is also possible to leave a car in a public garage (street name: Sukoišanska ulica), which is about 20 min walk from the harbour. The price for a week is 350 kunas (ca 50 €). You can rent mopeds and cars on the island. Germanwings and easyjet provide cheap flights.